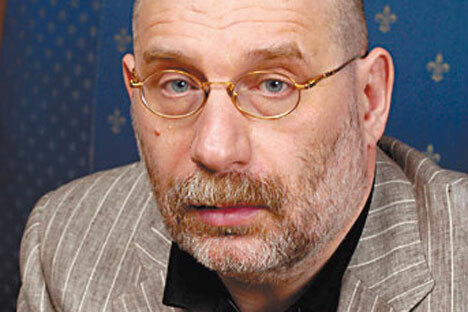 RN spoke to Boris Akunin, one of the most popular Russian writers of crime fiction, whose novels about charismatic detective Erast Fandorin have won plaudits from critics and the public, at home and abroad. The top 10 most popular authors in Russia have – year after year – almost exclusively been detective fiction writers. Why do you think the detective novel is the best-selling genre in the country today? First, this genre is relatively new to Russia, having been around for only some 15 to 20 years. In Soviet times, having a crime take place in literature was simply unthinkable, for how could there be crime in the land of triumphant socialism? Second, detective fiction is the most interesting genre there is. It encourages the reader to think hard to figure out who the killer is. Does the Russian detective genre have its own image and some distinctly unique features that make it different from, for example, the Scandinavian novels that have recently become so popular? The Russian detective genre is characterised by variety – much more so, in my opinion, than the Scandinavian novels. That is because life in Russia is always an overflowing fountain: a fountain of oil, blood, emotions, you name it. The Fandorin novels are written in different detective fiction genres – some are conspiracy novels, some spy novels, some political detective novels. They are also characterised by pastiche; they contain numerous references to the Russian classics and specific literary works. When you first introduced this game to readers, were you sure they would understand it? Has the reader lived up to your expectations? The reader has surpassed my boldest expectations. When I was developing this project, my first publisher and I thought that the total target audience for such books in Russia would be about 30,000 people. Perhaps, up to 100,000 if we were lucky. We dared not dream far beyond those figures. As of the start of this year, a total of 25 million copies of my books have been sold. Such are my lucky stars – I have no other explanation for it. Why are the Fandorin novels so popular? I think the reason lies in that Erast Fandorin has many qualities that are sadly lacking in our people. Opposites attract – as we know. Fandorin is reserved, cold-blooded, scrupulous, and does not consider the authorities to be something sacred. It seems that, deep down, my readers want to be like him. Fandorin has been hailed by some as a national hero. Do you agree with this evaluation? You openly support Mikhail Khodorkovsky. Your correspondence with him is included in the recently published and widely discussed book ‘ Mikhail Khodorkovsky: Articles. Dialogues. Interviews’. How do you think this book is significant for Russian society? It is yet another step on the way to releasing a person of whose innocence I am absolutely convinced and who (in my eyes) bears an ever greater resemblance to Erast Fandorin.